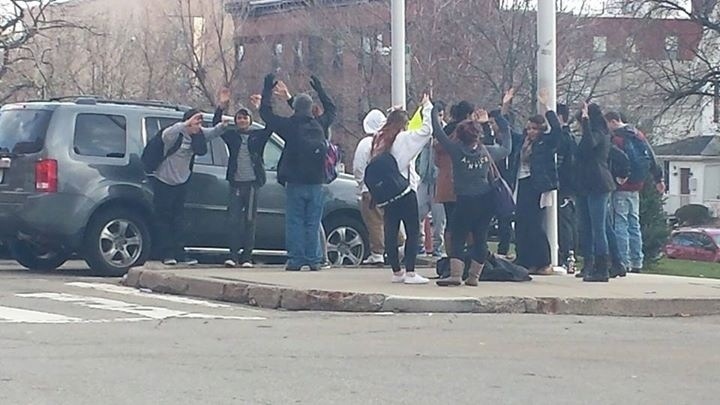 This past Thursday afternoon, Somerville High School students were out on the front lawn of the concourse protesting and exercising their rights. But according to Max Freitas, a senior from Somerville High School. Attached bottom photo is a picture of this school-sponsored peaceful protest.